Want to learn French easily and quickly? Then this is the perfect app for you! 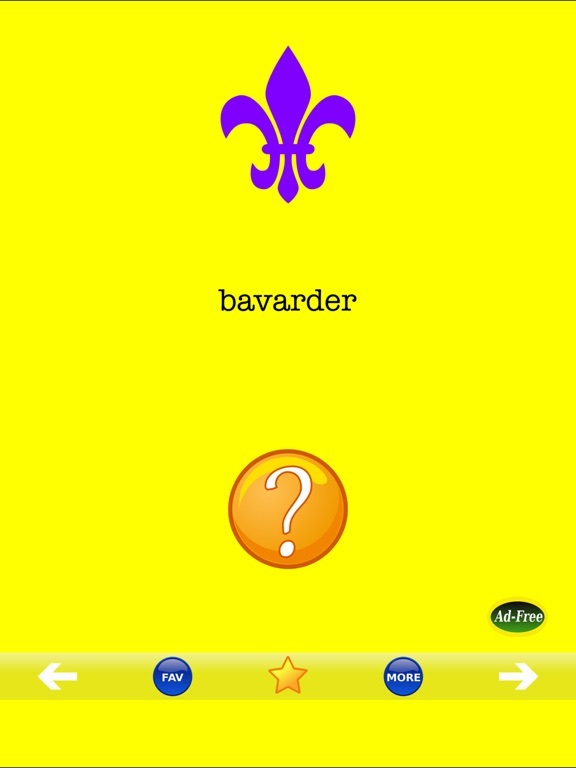 This cool app gives you 650 most commonly used French verbs and their English translations. 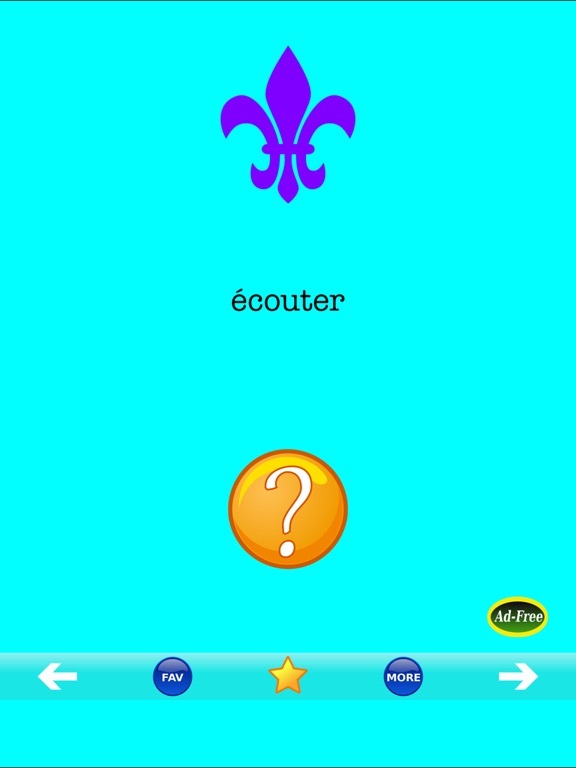 Simply TAP the question mark to reveal the meaning of each French verb. - Save your favorite French verbs! - Share your favorite French verbs via Email! 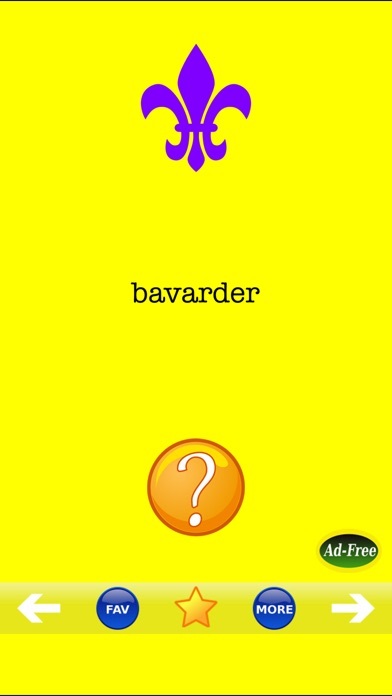 - SMS your favorite French verbs! - Post your favorite French verbs directly to Facebook!